I am board certified in both Hematology and Medical Oncology, which means that I specialize in the areas of blood and cancer. I diagnose and treat a number of diseases of the blood and, as a medical oncologist, I treat cancer with medicine or chemotherapy (as opposed to radiation or surgery). 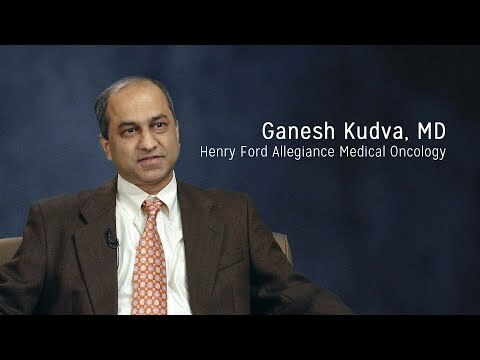 At Henry Ford Allegiance Health, we approach the diagnosis and treatment of cancer as a team, each of us contributing our own experience and expertise. My role is to identify the most effective medicines. I am fortunate to be part of this outstanding team of physicians, advanced practice providers, nurses and support staff. Our close collaboration allows us to provide our patients with the best care, based on the latest research. When I began my medical training, I had an excellent role model, who was exceptional in clinical competence as well as humanistic attributes. I strive to follow his example with my patients and colleagues. I enjoy my work and give my very best every day. To obtain patient ratings and comments, we partner with Press Ganey, an independent patient satisfaction company that works with more than 26,000 healthcare organizations to improve the patient experience. Learn more about patient ratings and comments.